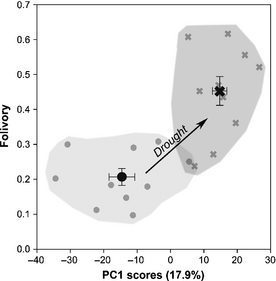 “Long-term fertilization determines different metabolomic profiles and responses in saplings of three rainforest tree species with different adult canopy position” by A. Gargallo-Garriga, S. J. Wright, J. Sardans, M. Pérez-Trujillo, M. Oravec, K. Večeřová,O. Urban, M. Fernández-Martínez, T. Parella, J. Peñuelas. Tropical rainforests are frequently limited by soil nutrient availability. However, the response of the metabolic phenotypic plasticity of trees to an increase of soil nutrient availabilities is poorly understood. We expected that increases in the ability of a nutrient that limits some plant processes should be detected by corresponding changes in plant metabolome profile related to such processes. We studied the foliar metabolome of saplings of three abundant tree species in a 15 year field NPK fertilization experiment in a Panamanian rainforest. 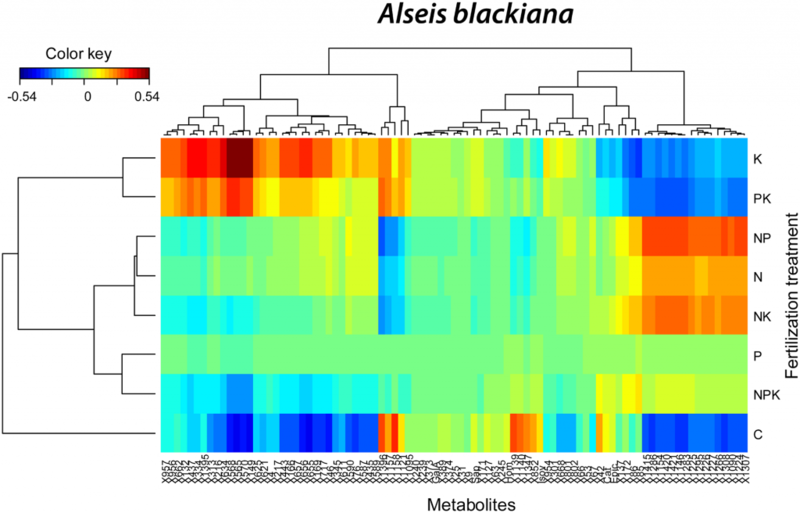 The largest differences were among species and explained 75% of overall metabolome variation. © 2017 – 2018, Miriam. All rights reserved by the author(s) and Universitat Autonoma de Barcelona except for texts and images already copyrighted by third parties (e.g. journal publishers) and used here under the fair use provision.